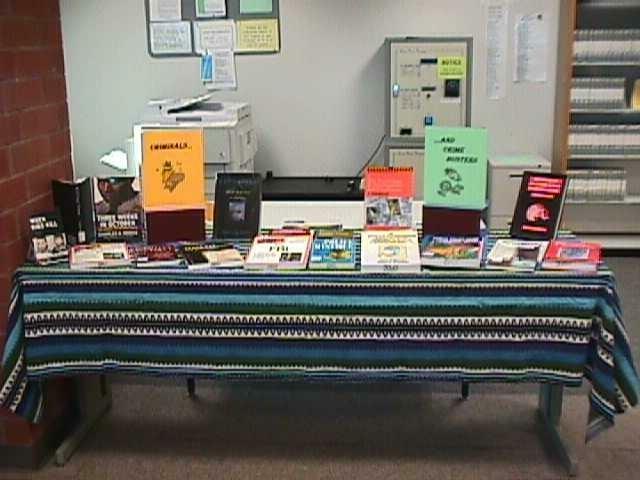 Want to learn more about crime, criminals, and ‘crime busting?’ If you said “yes,” then stop by this display put together by the Levine Campus Library staff. 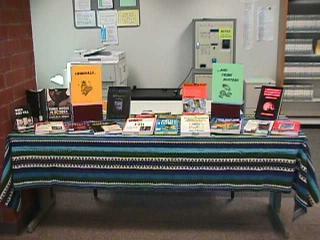 Located in the Levine Library, this display has many titles available for check out. 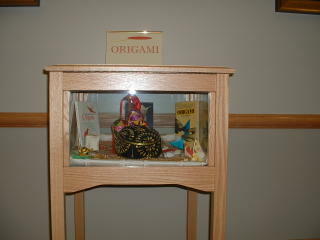 Here are some pics of the origami display at the Cato Campus. 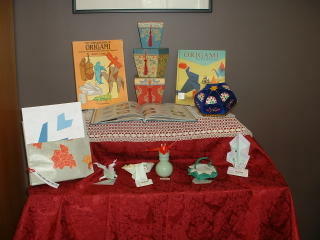 Sharon Nance put the display together. The origami was created by Yan Wang’s (our library cataloger) mother. Ruiyu Zhao came from China to visit her daughter’s family here in Charlotte. She loves the weather and people here. 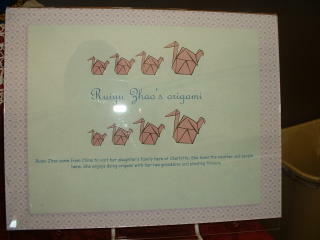 She enjoys doing origami with her two grandsons and planting flowers. Check out the new leisure reading books we got this summer! The list is posted here. Join the CPCC Libraries for a “Making Our Yards Beautiful” talk by Eddie Howell and Tom Bass on Friday, Oct. 14 at 12:30 p.m. in Room 404 of the Central Campus Library. You will be entertained by these lawn care experts as well as learn more about making your yard so beautiful that your neighbors will be jealous. Professional Developement Credit is available for CPCC employees. Sign up on Learner Web. Rebel! Read a Banned Book! Sharon Nance put together a small, but timely and interesting display of the CPCC library collection of “banned books” to recognize the American Library Association’s Banned Books Week. During our Student Resources Day at Cato, we spotlighted these titles. Students were shocked to see some of their favorites in the group. The Harry Potter books, The Bridge to Terabithia, A Wrinkle in Time and I know Why the Caged Bird Sings were mentioned most. ALA’s slogan this year is “Read Banned Books!” Yes, do. Library Ladies Dazzle at Student Resources Day! 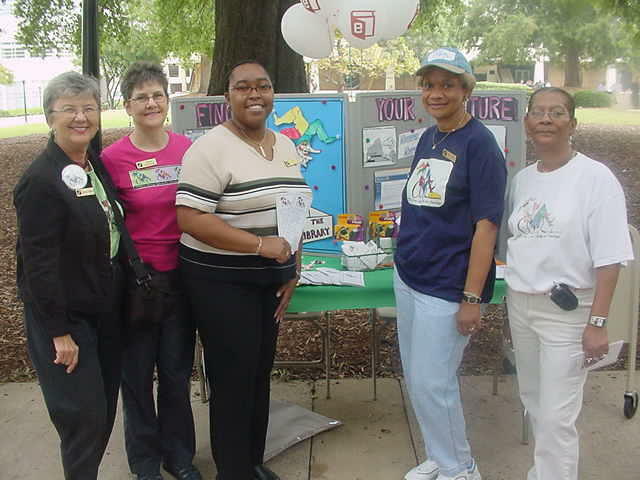 Sonia Coffin, Elaine Kushmaul, Yolyndra Green, Linda Colbert, and Velma Jackson greeted students during the Central Campus Student Resources Day. Over 400 students were contacted by the libraries from all of the Student Resources Day activities at each CPCC Campus. And you thought library workers were quiet! This month’s interview is with North Campus Security Officer Michael Ebalaroza. When did you start working at CPCC? I started in January of 2003. I make sure that faculty, staff, and students are secure while they’re on campus. Providing assistance to the faculty and staff. What’s something interesting about you that people may not know? I am a native of Hawaii. I was born and raised in Honolulu. I also sing with a Polynesian show and have performed at several CPCC campuses and in Las Vegas, Disneyworld, Sea World, and around North Carolina. It’s time to share your book reviews again! We’re on for Friday, September 16. Do you want more information? Try our BookMarks Blog. 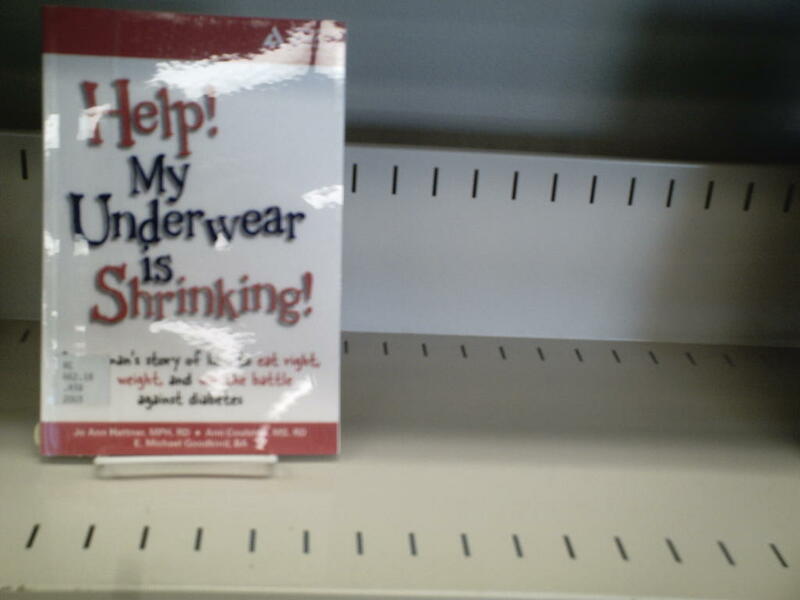 We Even Help with Underwear! The Library is the place to be! We can help with anything. Need articles for your research paper? Come see us! Need a place to study and work on assignments? We have study places and computers. We can help YOU! Welcome Back! 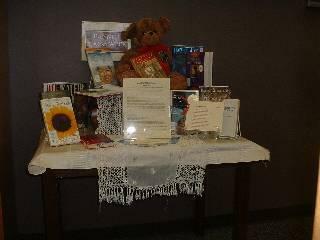 Our August display was created by Brian Anderson, an instructor in the English, Reading, and Humanities Department. This special display, created from Brian’s own personal collection, is entitled Books Go to War.